Global miner Anglo American (LON:AAL) is ending 2018 on a high note, the company reported Tuesday. Anglo expects total production for the year to be 2% above of previous guidance, with costs decreasing by 5%. “We are also confident about the outlook, with production expected to increase by 3% in 2019, with cost inflation fully absorbed by our productivity and cost improvements,” chief executive Mark Cutifani in a briefing for analysts and investors. Cutifani noted that the company, which has mining operations in Southern Africa, North and South America and Australia, forecasts a further 5% production increase in both 2020 and 2021. "In the next 3-5 years, we're basically growing the business around 20%," Cutifani said. The flagged output increases won’t come for free for the world's number four diversified miner. Completed and planned expansions at some of its mines, particularly aging copper operations in Chile, means the company expects total capital expenditure to average between $2.8 billion and $3.1 billion sometime after 2021. The world's No. 4 diversified miner expects total production for the year to be 2% above of previous guidance, with costs decreasing by 5%. After reducing net debt by more than $9 billion over the last three years, Anglo American will now drive enhanced returns through capital allocation options, Cutifani said. The company, however, remains the only one of the top diversified miners not to have launched a share buyback program yet. “We have a well sequenced range of high returning, quick payback growth options, from life extensions in diamonds and metallurgical coal, to growth across our copper, diamonds and met coal businesses in particular”, the executive said. The new production figures didn’t come as a total surprise to investors. In October, the company had raised its platinum and palladium targets for 2019. And last month, it increased its 2018 copper guidance from its Chilean operations to 660,000 tonnes, up from a range of 630,000 to 660,000 tonnes previously anticipated. 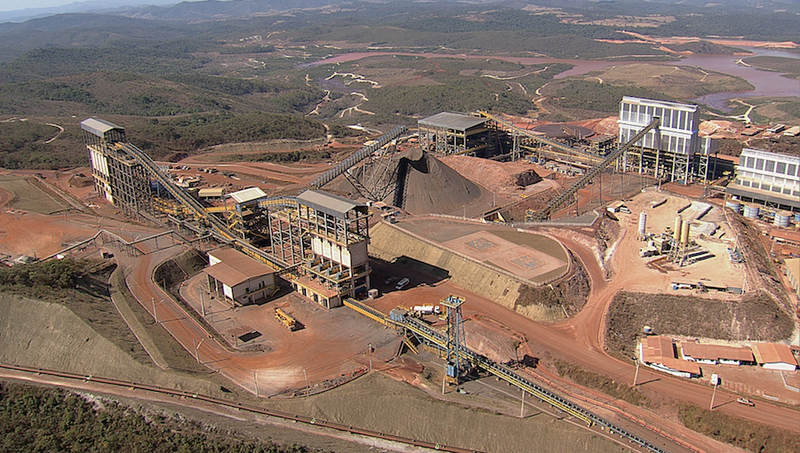 Anglo also said its Minas-Rio iron ore mine in Brazil should resume operations before the end of the year, producing between 16 million tonnes and 19 million tonnes in 2019. Shares in Anglo American were up 3.2% in London at 1,625.60 pence by 11:40 am local time.